An RSS swayamsevak of Alapuzha in Kerala was steering a boat through the fierce flood water. His aim was to save people marooned in a nearby village. On the way, he was shell shocked to find his own house completely destroyed by flood. He did continue to advance towards the planned rescue operation. That was but one among numerous inspiring incidents involving valiant RSS - Seva Bharati workers throughout Kerala. When Chennai based donors, contributors and volunteers involved in Kerala flood relief work met senior RSS pracharak Shri Sethu Madhavan ( Special Invitee to All India Executive Committee of RSS) last week at the SEVA premises housing the office of Seva Bharati, Tamilnadu, they were treated to such ennobling anecdotes by Sethuji. It is to be noted that over 60,000 swayamsvevaks and Seva Bharathi volunteers helped pull Kerala out of devastation unprecedented in the past century. A native of Kerala, Sethuji was instrumental in coordinating the entire relief work and operations of Seva Bharati during those challenging weeks. Shri Rabu Manohar, state president of Seva Bharathi and Shri. 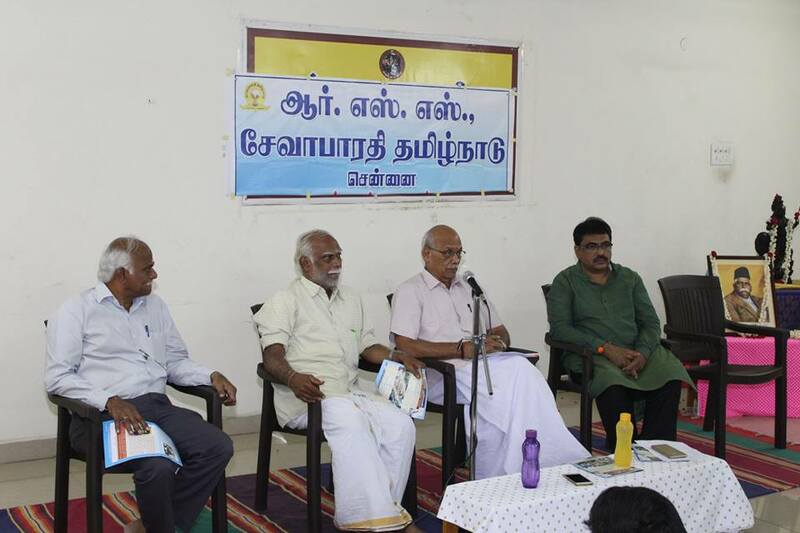 G. Mathivanan, Chennai city president, were among those present on the occasion. Shri. K. Kumarasamy, Uttar Tamilnadu Prant Sanghachalak, presided over the meet. Couched amid verdant mountains and foliage is a Government Residential Middle School in Bokkapuram near Masinagudi in Nilagiri district of Tamilnadu, exclusively for Vanavasi (tribal) children. 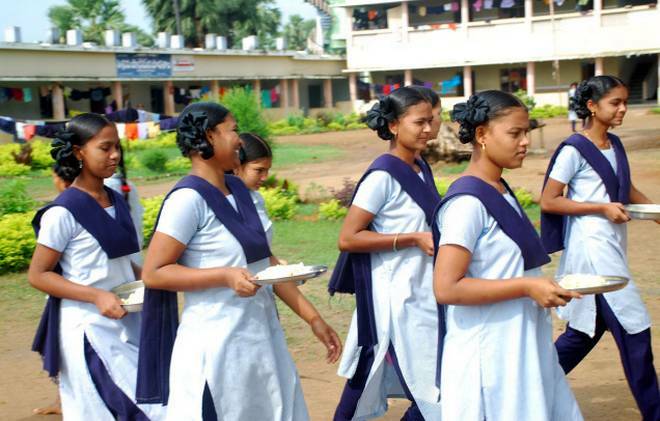 About 142 tribal students, including 85 girls study there.This school was started in the year 1956 as a primary school later got upgraded to Middle school level in the year 2004. There are 9 teachers including the Headmaster who are local residents as well. This School has bagged the State Award for School Cleanliness and clean water supply for the year 2017-18. Last year it had won the same at the district level. Chief Minister of Tamilnadu Sri. Edappadi K. Palanisamy had handed over the award comprising a citation and a cash prize of Rs. 30,000 to the school at a function held in Chennai early this month. The students have been taught lessons on cleanliness and hygiene apart from academics, which resulted in a clean campus, class rooms and the toilets included. “With the state level award, our students are very much motivated” says Headmaster Kannadasan. During the nine days preceding Vijayadasami, every Hindu household in most of the districts of Tamilnadu, gets converted into a temple. 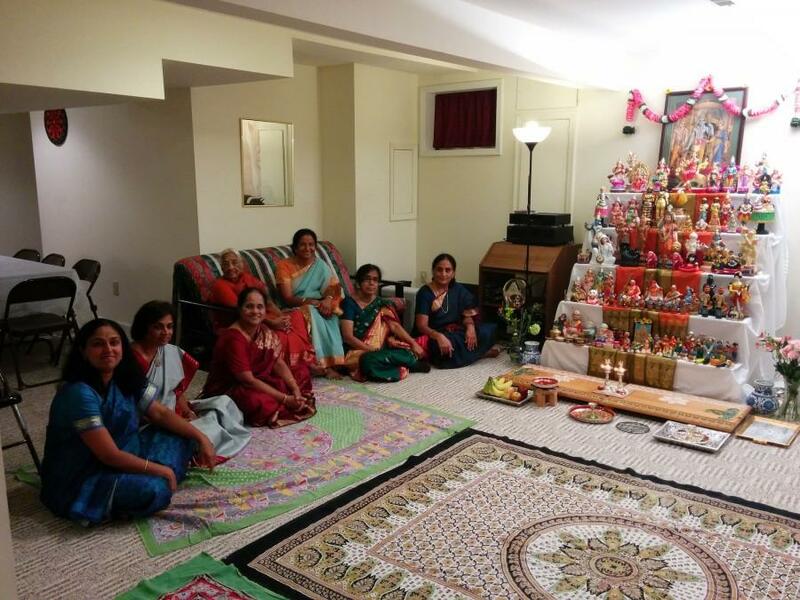 All deities in the Hindu pantheon literally descend on to the living room (dolls of Devi Devatas form the loft, that is). The dolls are arranged on the decorated Kolu stand having 5, 7, 9 or 11 steps. This operation is monopolized by the girls of the house. In the evenings, they go from door to door bedecked in the attire of Radha, Krishna or Andal, inviting womenfolk to visit the kolu in their house. The guests are requested to render Bhakti geet in front of the kolu, who take leave after receiving the day’s prasadam –handful of sundal (cooked pulses) rich in protein. In modern day blocks housing flats, a common kolu arranged with the dolls contributed by the residents of all the flats is becoming the order of the day. After all those nine days – nava ratri - bring about an informal social intermingling, a rare phenomenon otherwise.